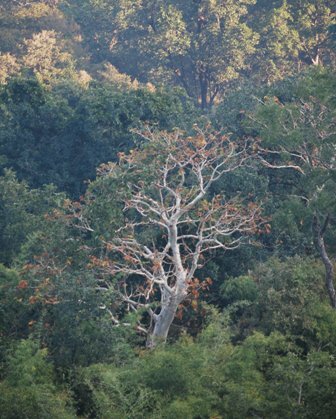 The Amazing Forests of Bandavgarh tells fascinating stories of Kings, White Tigers and a fort gifted to a brother. 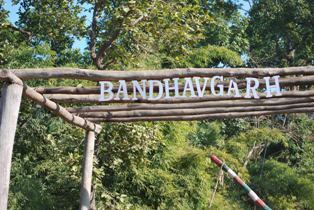 This is the last ( for now) and chapter 5 in the series on Bandavagarh . The Bandavgarh National Park and Tiger Reserve was once home to the White Tiger ( not spotted for the last 50 years now) and was the domain of the Baghela Rulers of Rewa. 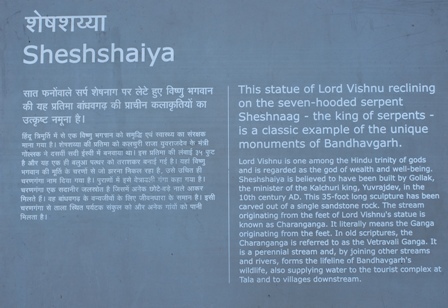 It was preserved by these wise rulers as a Wildlife sanctuary from the 17th century ( 400 years ago) when they shifted their capital from Bandavgarh to Rewa. It is home to numerous monuments, temples ,caves and forts, most of which are beyond the reach of the ordinary tourist like me. A visit to the fort requires a special permit I hope I will be able to visit the 10th Century Fort in the years to come. 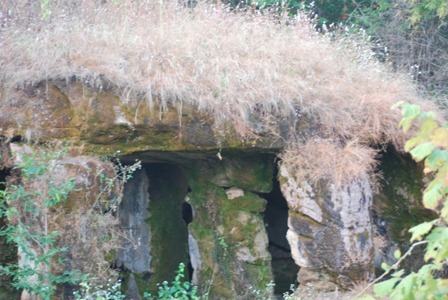 The caves are about 2000 yrs going back to the 1st A.D. The entire region . 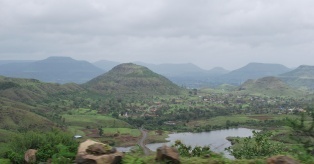 I have observed that hills inhabited by ancient temples in India are often a treasure trove for environmentalists. 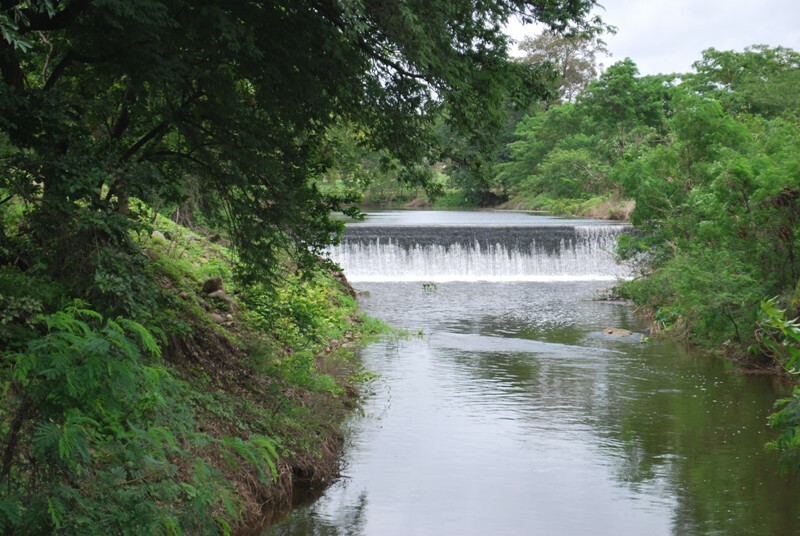 They are often the catchment areas of water for the region, ancient forests provides medicinal plants and in turn its inhabitants, the fauna ( wildlife) , thrives. 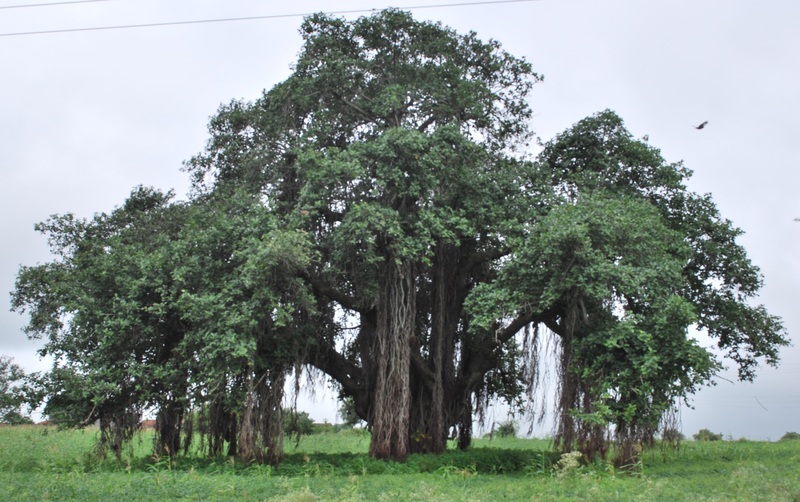 The Amazing forests of Bandavgarh are a wonderful example of this ancient wisdom. There are some pictures which I am adding in Chapter 6, which will show up the deficiencies of the Forest administration at Bandavgarh.So keep your eyes pealed. After much inner conflict I think its necessary to mention the same. The “water world” of “Nalsarovar” is the home to the graceful Flamingos ( Phoenicopterus roseus & Phoenicopterus minor ) .It’s a sight of a lifetime. Through the blogs titled ” enchanted forests” I attempt to unveil to the reader the numerous forms of magical and enchanting nature . 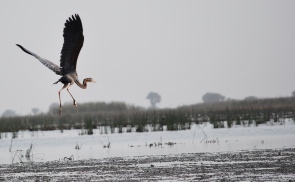 Welcome to the water forest, Nalsarovar, abode of the flamingoes. “Sarovar” literally translated from Hindi means a Lake. Nalsarovar is however an enormous “water forest” located a short 45 minutes by road (65 kms) from Ahemdabad. 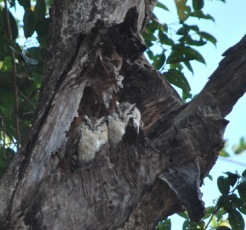 ( Gujarat, India) . 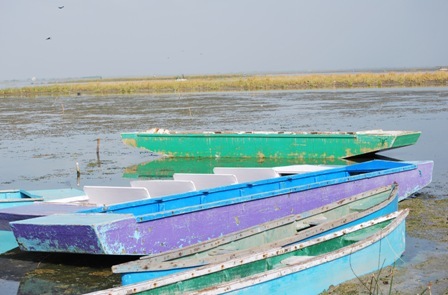 It is also one of the largest “Ramsar” sites in India. 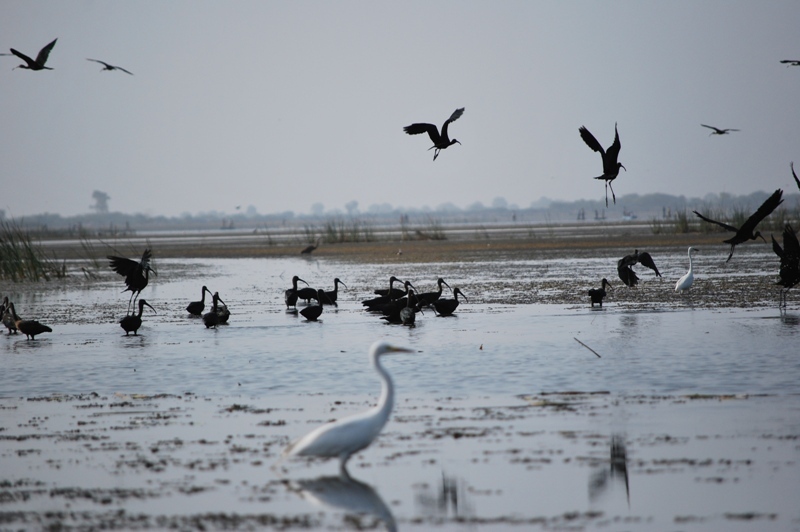 Water combined with marshy land make it an ideal habitat for hundreds of water birds, many of which migrate to Nalsarovar from the colder northern worlds. 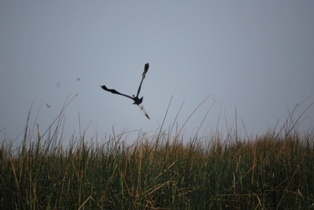 The birds are best viewed from the flat bottomed boats which are manned by extremely knowledgeable boatmen. Follow their advice and you will be witness to one of the marvels of nature. 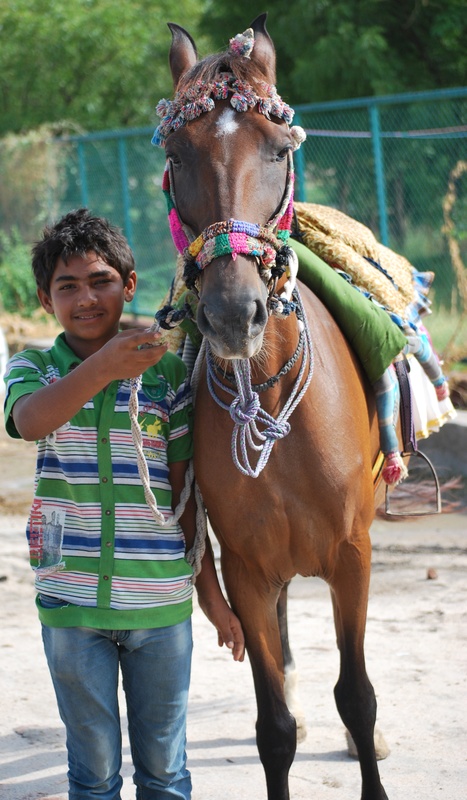 Personally did not go on a horse, but its an option with this cheerful young jockey. Do observe the saddle. want to go on a horseride? 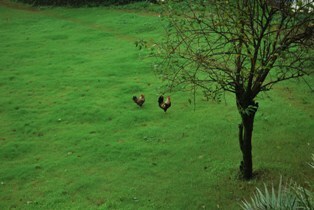 Do write to me at chandmukul@gmail.com and i will be happy to share more pictures and details. Also watch out for my blogs on the region in http://www.travelwithmukul.wordpress.com. In Ancient Egypt the IBIS was revered . The parent bird was so agitated as the boat was within touching distance of its offspring ( in the foreground of the picture) that it flew menacingly to peck the boatman. 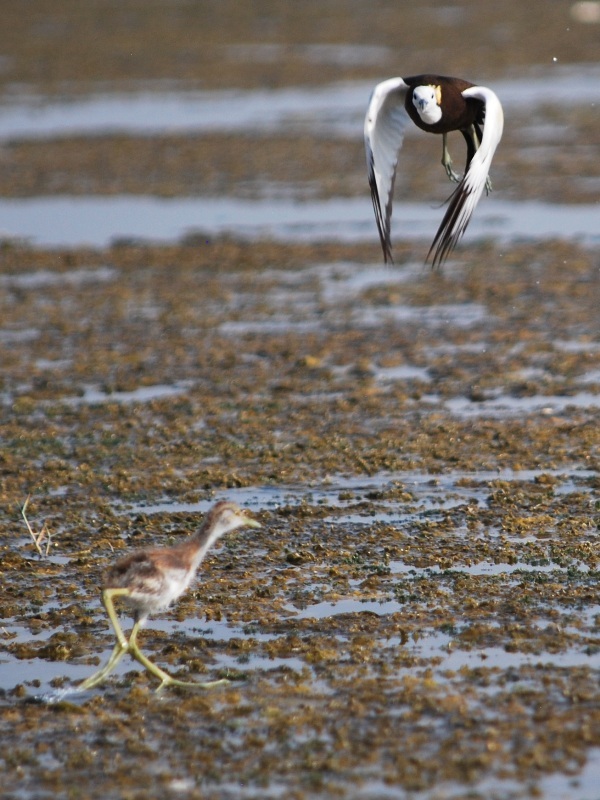 Did The Jacana (Hydrophasianus chirurgus) know who was in charge ? I have had only a “fleeting glimpse of half a dozen flamingos” at an abandoned dock in Mumbai years ago.The sights at Nalsarover truly reveals the magic of the flamingoes. what an eyeopener: they flock here in thousands. Do keep an eye for more on the region. 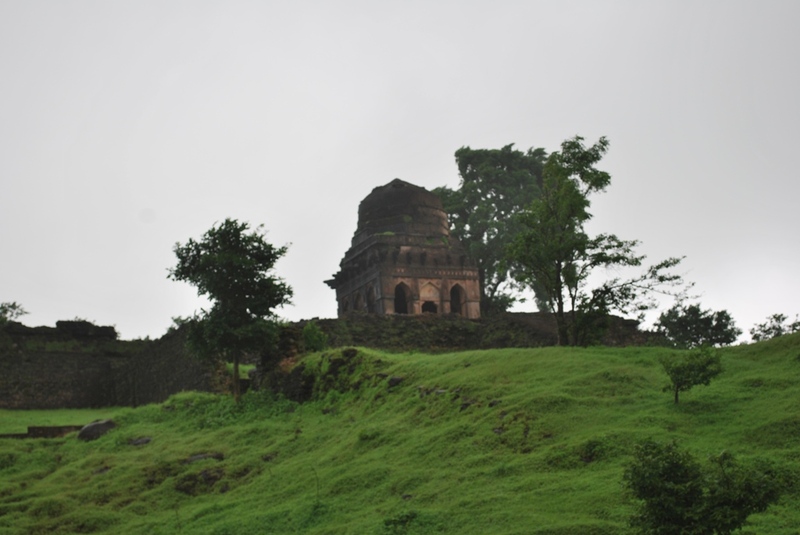 Mandu: Romance in the Heart of India. As we go on a “treasure hunt” across India, daily opening “nature’s magical gifts” , I hope we will collectively discover her subtle and some “between the eye” secrets . Forests ( an alias for mother Nature)are located all over, we have to simply unpack the packaging. Ancient pilgrim centres are one of the easiest clues that dot this magnificent country. Its truly a treasure chest and each forest a magical gift in this bountiful treasure chest. Hindu mythology is entwined with the treasures of Nature. Each pilgrim centre has a treasure from nature waiting to be discovered. 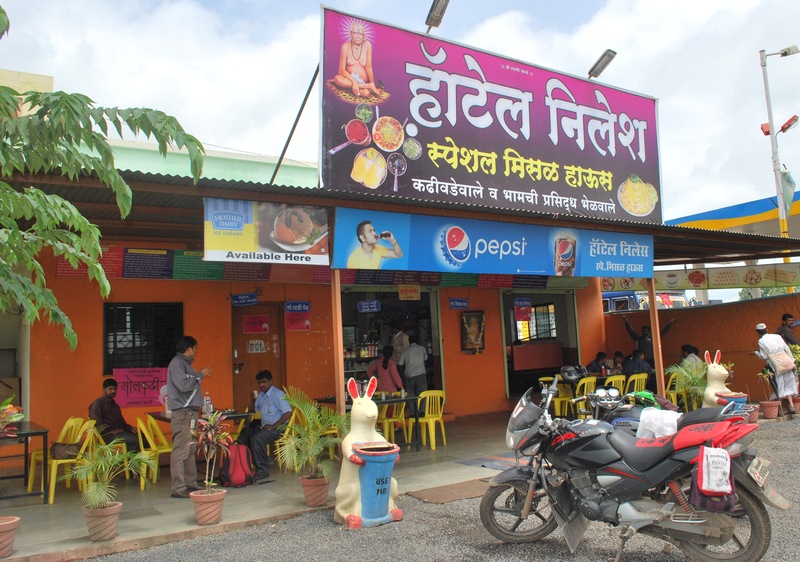 You neither need to be religious nor a devotee to visit these Pilgrim centres. 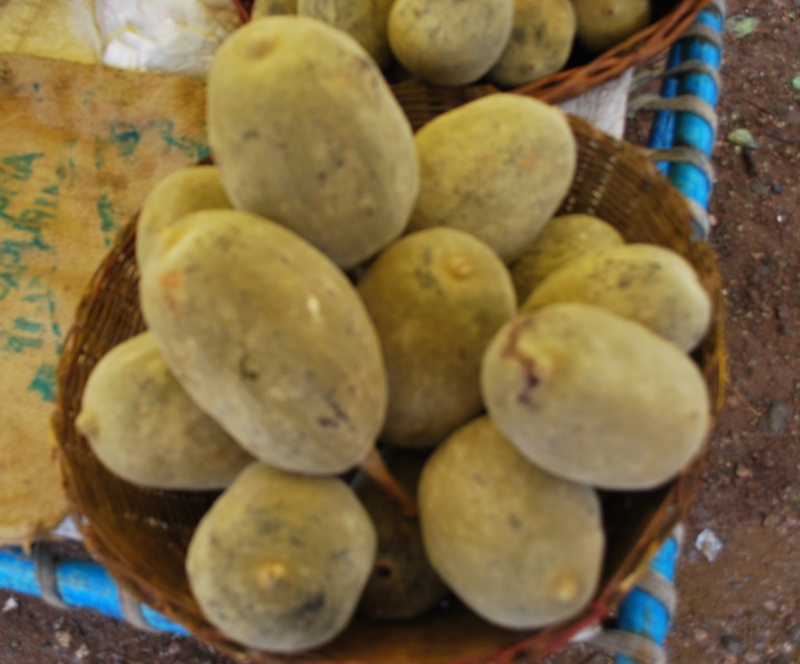 They are richly endowed with Natures bounty. Just be with me and you will discover the secrets yourself. We have thus far been enchanted by Urban forests ( nauture’s gifts in bustling metropolises) & Sacred forests. 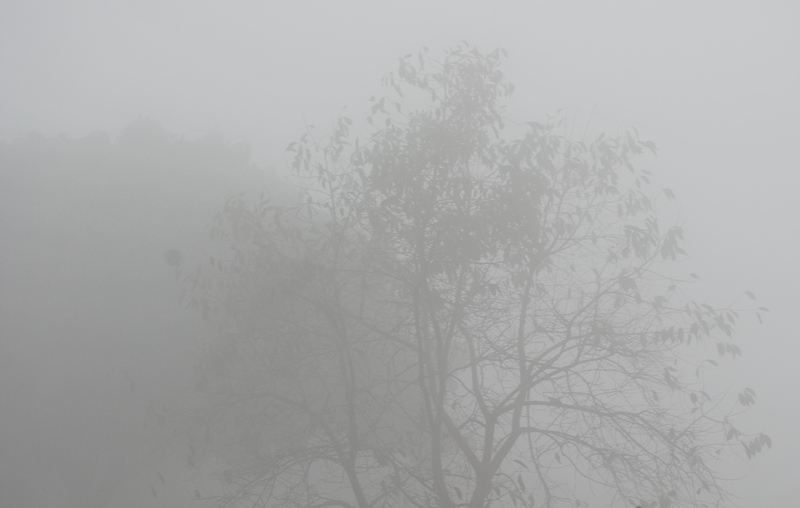 We now explore & unveil the FOREST IN THE CLOUDS. 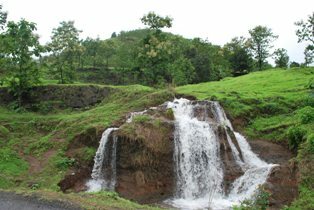 Bhimashankar is a gorgeous 150 minute minute drive from Pune. Strongly recommend the local cuisine. 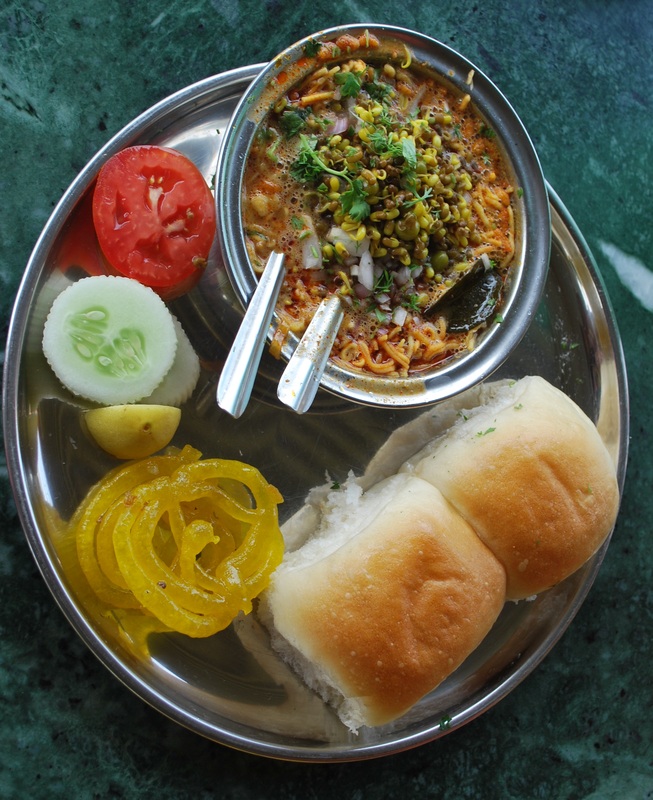 The misal pav and vada pav cannot be matched in any restaurant. 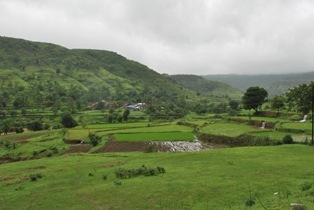 Bhimashankar, is located in the midst of a forest nestled within the Western Ghats. 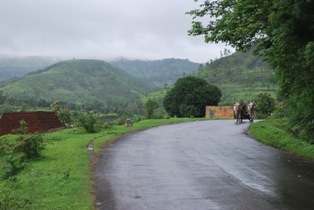 The best time to visit is during the monsoons when the Gods in form of “clouds” descend to Earth. Now the pictures hereafter will unveil this FOREST IN THE CLOUDS and Its magic in its folds. there are hundreds of such waterfalls. Am not even half way to Bhimashankar, the origin of the river Bhima and the abode of Lord Shiva as “Bhimashankar”. Watch out for chapter 2 on “Forests in the Clouds”. Check out http://www.travelwithmukul.wordpress.com on Pune. I was fortunate to be summoned by Lord Venkateswara ( Vishnuji) to his abode on Earth located on the Tirumala Hills near Tirupathi in Andhra Pradesh. 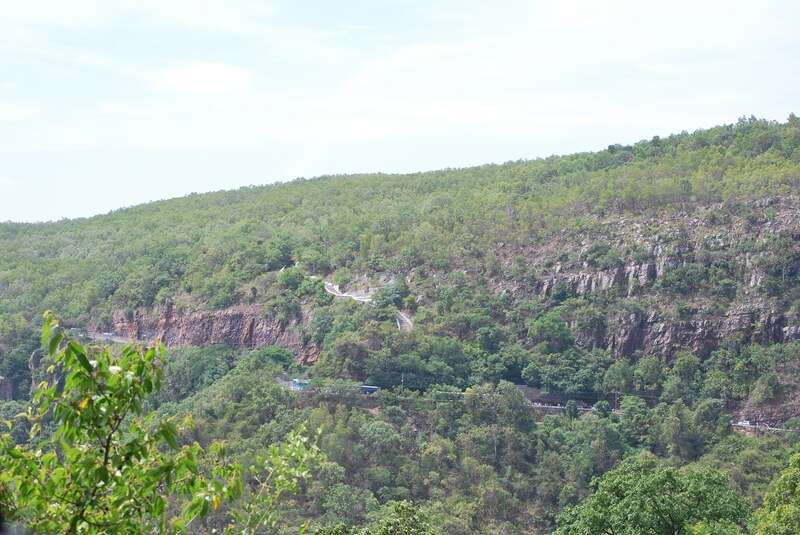 The Tirupathi Tirumala Temple dedicated to Lord Venkateswara on Venkatchala hill ( one of the seven hills comprising Tirumala Hills) is well known as the ultimate pilgrimage centre for Hindus. For the trip to Tirupathi see my blog http://www.travelwithmukul.wordpress.com. Hindu mythology bonds man and nature with the Supreme Being in an enchanting way. 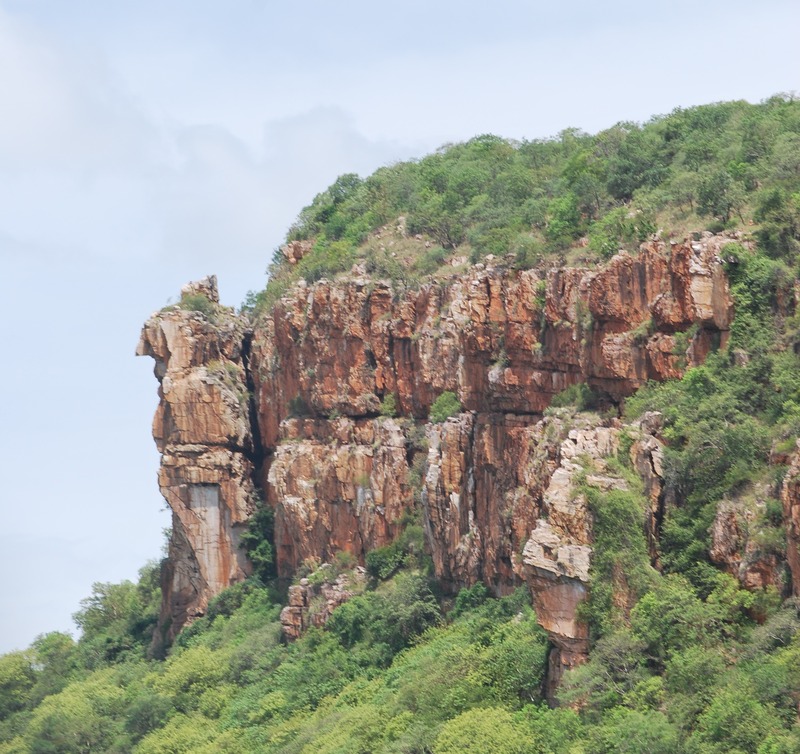 The Tirumala Hills themselves become the abode of the Creator( Lord Vishnu in the form of Lord Venkateswara) after he rescues the Earth ( Bhumi) from the the underworld. 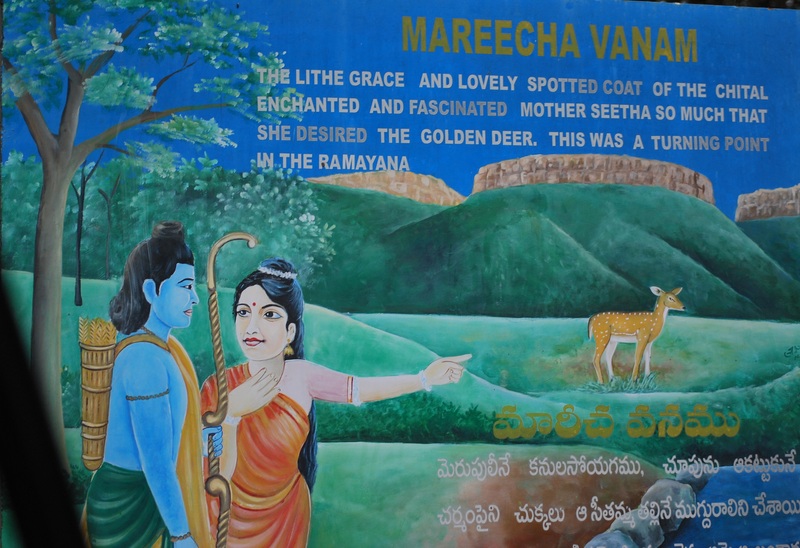 Many temples in this region have depicted Bhumi with Sri ( Lakshmiji) alongwith Lord Venkateswara. The Venkatchala Hills are home to a beautiful sacred forest.Protected for hundreds of years by the temple The mountain itself is a demi god (devta) and revered and prayed to ensuring that all ( flora and fauna) that reside on it are protected by the Lord himself. 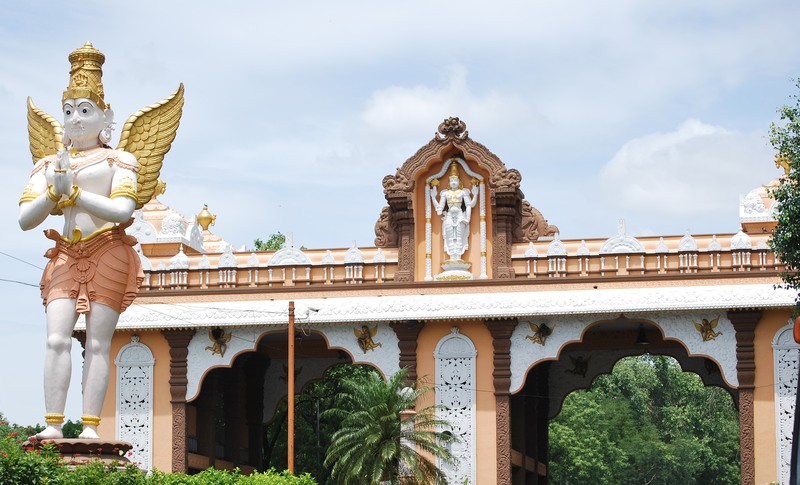 This bond strikes you between the eyes at this world famous temple site.The hills are lush green and home to sandalwood trees and red sanders besides many endemic trees. It is a model for environmentalists across the world as to how a forest can be preserved. 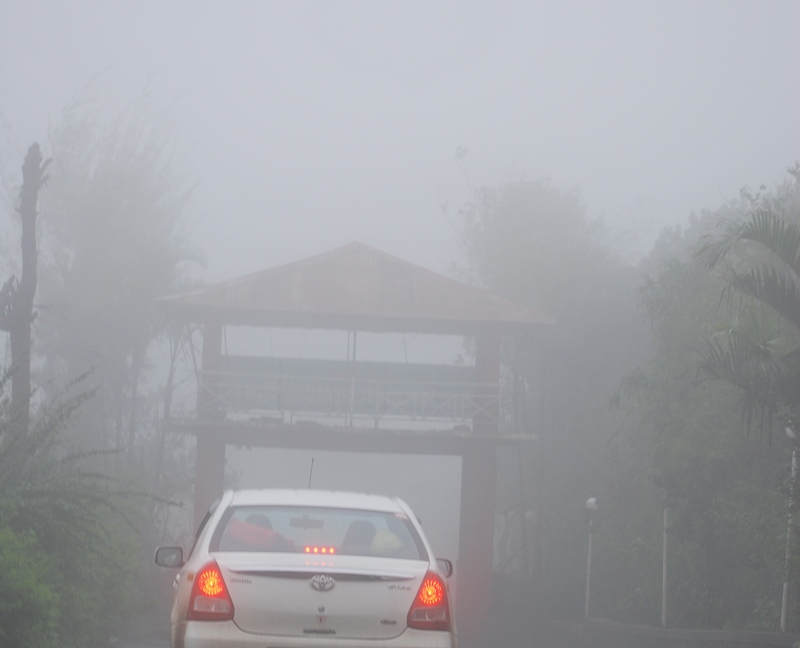 As you drive up from Tirupathi the magic of the sacred forest envelops you , calming your senses as you approach the abode of the Creator. 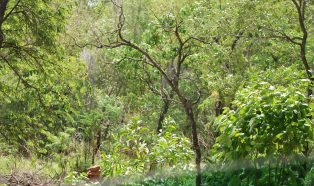 The air becomes cooler and various sacred forests ( Vanams) are demarcated and named after various rishis ( sages) like Durvasha vanam etc. Two trees the “tamarind” and “champak” trees are supposed to be the abodes of Lord Vishnu and Goddess Lakshmi respectively.This is mentioned in the ancient texts the “Puranas” in particular the Skanda Purana where the story of King Tondaman is unveiled. Cutting of trees is forbidden to construct the temple also. The vehicle of Lord Vishnu is none other than Garuda ( the king of eagles) . Can anyone kill a bird on the hills with this belief? Symbolically each and every bird, animal tree and plant finds a place in the Puranic stories ensuring their existence over time. The temple todate has its own flower and medicinal herb gardens from where fragrant flowers are picked and offered to the ruling diety. The smell of sandalwood and tulsi( basil) enlighten your senses as you bow before the Lord in the garba griha ( sanctum sanctorum of the temple) and experience Ananta( never ending) bliss in his sacred forest. A mere three hours by train ( August Kranti from Nizamuddin to Sawai Madhopur) from New Delhi and you reach one of the most Enchanting and mesmerizing forests of India. : Ranthambore Tiger National Park, Sawai Madhopur, Rajasthan. Ranthambore Tiger National Park has a high density of Tigers and an extremely dry deciduous forest.This Wonderful combination almost ensures sighting a Tiger ( English), Sher ( Hindi), Panthera tigris ( Scientific name) . It is home to the famous 19 year old Diva “Macchli” and the Majestic Hunk “Ustaad”. Ustaad was unfortunately shifted to Sajjangarh, near Udaipur after being labelled a man eater under mysterious and controversial circumstances in May 2015. 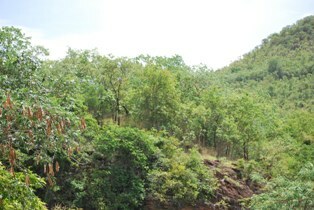 The forests of Ranthambore are nestled in the Aravalli range of mountains . 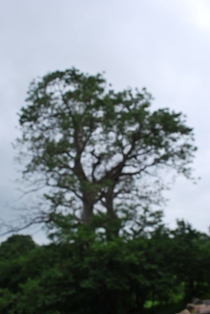 The trees are adapted to the dry environment and thus relatively stunted and with smaller leaves. The “MAGIC” of Ranthambore is the mix of History with the Forest.The Ranthambore Fort built centuries ago is today in the heart of Tiger Country. 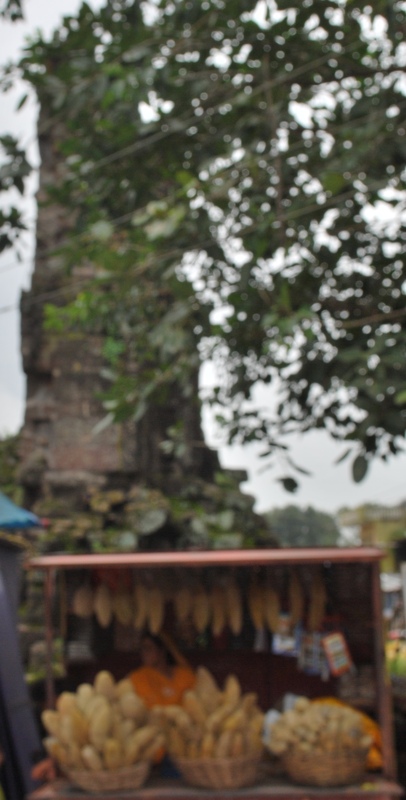 Where else can you see Tigers in a Fort or a Palace ,now in ruins, overrun with Banyan trees. 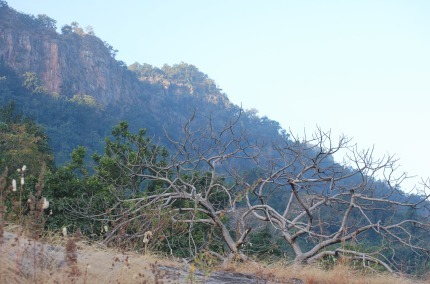 The forest has numerous Hunting Palaces from an era gone by and is also home to a massive Ranthambore Fort. 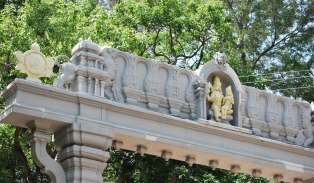 It is also home to an unusual temple dedicated to the Elephant headed Lord Ganesha. To date Wedding cards in Rajasthan are first addressed to the ruling deity Lord Ganesha whose blessings are a must for an auspicious start. There is also a unique Hanuman ( Balaji) temple in the midst of the “river of sorrow” , the Chambal. One bank of the river is Rajasthan and the other Madhya Pradesh. 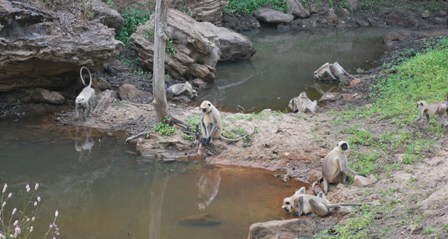 The flora and fauna at Ranthambore is spectacular and indeed unique. 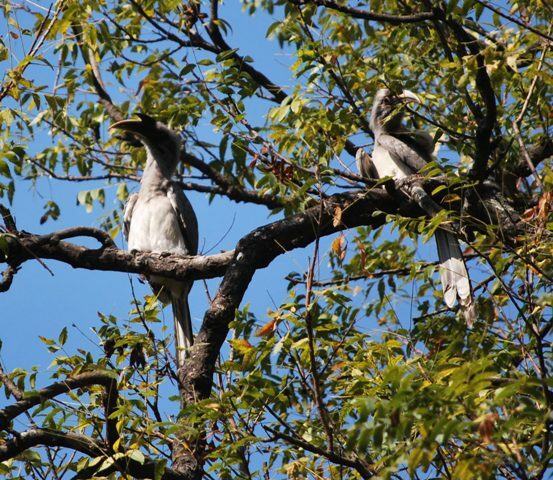 For residents of Delhi, a walk through the Aravalli Biodiversity Park is a must before you visit Ranthambore. You can then compare an Urban Forest to a Forest of the King. What say, would you like to learn about the Flora and Fauna of the Aravallis? Let us discover the magic together. It has been a year since i entered the World of blogging, am now giving the initial Blogs a makeover. Many of the blogs a year ago had only 10 likes or under. I am re blogging these posts while keeping the initial thoughts intact.